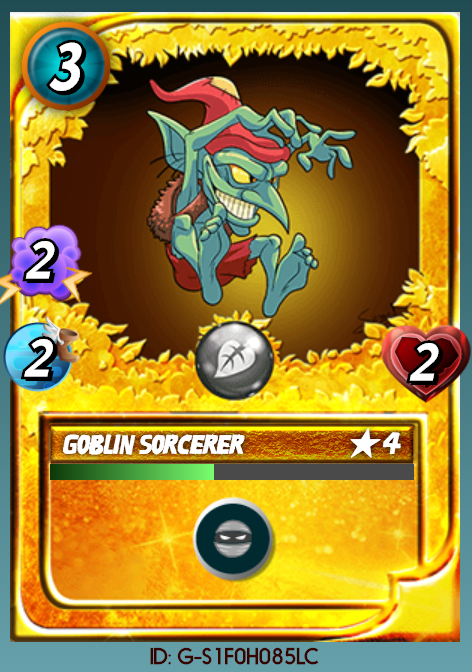 Comment 2 Win, Giveaway Week 5, Gold Foil Goblin Sorcerer (Alpha Edition)! Win this Steem Monsters Card... You only have to comment to win! With the money that I made from last week's posts... I present to you this highly sought after, Alpha Edition, Gold Foil Goblin Sorcerer! I am doing this giveaway every week, so make sure you keep up. Every week I make two posts... One post to reveal the card that is being given away, and another post to announce the winner after the first post expires. I take all liquid steem and/or SBD rewards from both of those posts and use those funds to buy a card off of the Steem Monsters Market. That card then becomes next week's giveaway card. This is not only allowing a lot of people to win cards that they may not otherwise be able to afford, but is also helping people sell their cards on the market. This is a link to that post if you want to upvote and re-steem it! Will both contribute to next week's prize! If you want to be eligible for the Bonus Prize... Tag a friend in your comment (with the @). This giveaway will be better if more people know about it. If you get picked as the winning comment and you have tagged a friend, you win both cards!# If you want to make sure that the prizes stay good and continue to be high value cards, Make sure that you Upvote and Resteem Both Posts every week. 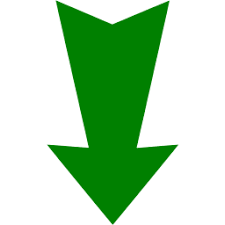 If you want to make sure that the prizes stay good and continue to be high value cards, Make sure that you Upvote and Resteem Both Posts every week. But to be completely clear... You only have to leave a comment in this post to be eligible to win the main prize... and any comment will do. P.S. Don't forget to follow me so you don't miss out on future giveaways. P.P.S. I am also trying to build up my influence on YouTube... So If you wouldn't mind subscribing there, it would be greatly appreciated. If I can get enough people interacting on YouTube I will probably start to give away Steem Monster Cards there too. This is a link to my YouTube channel! ❗️It is important to note that you do not have to purchase anything to be eligible to win this card... you must buy a Steem Monsters Starter Pack to be able to compete in battles, but anyone with a Steem account can log into Steem Monsters and collect or even purchase cards off of the market. Click this banner to begin your collection! Steem Monsters - Collect, Trade, Battle! A decentralized, digital trading card game built on the Steem blockchain. 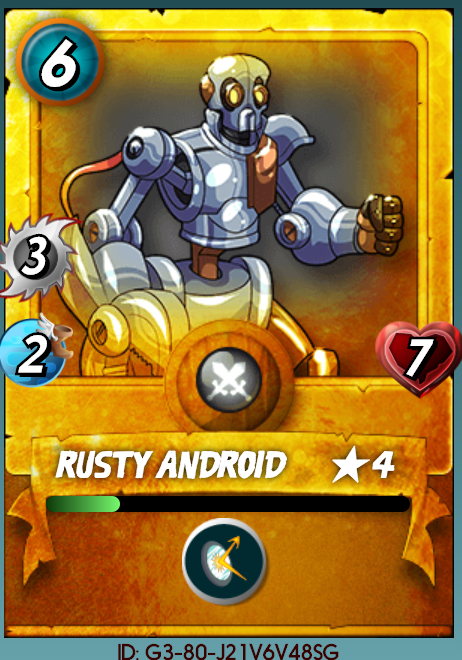 Collect the cards, level them up, and battle for great prizes! Not spam. Just sharing my giveaway with the community. Spam would be just randomly throwing comments everywhere. I left a comment on your post about Steem Monsters. Pertaining to a giveaway I am conducting about steem monsters. You don’t think your followers would like to participate? Golds are fun. Nice to look at. Gimme gimme gimme. Lol. Lets go with @steemitqa for my guy. I know he collects cards and probably doesn't know about this. Thanks for actually giving away Alpha Edition cards. Those things are much more scarce. Yup. Only 718 of these in existence today. And that number will only go down if people combine them. I tag @sayalijain to participate. 100% vote again because I'm the first to participate ? Thank you very much for this giveaway ! Alpha gold would be good. Don't you think @lightningjohn? Yeah not just any gold either... Alpha GOLD! Good luck! @minhaz007 come check this out bro! Congratulations @travoved you are this week's winner! I have sent you the Goblin and the Android! I'm going to figure out how to play now! I'd like either of these! Haven't a gold card yet. Still fresh into the game. Free card for me too? Why say no? Good cards. Sold off my golds to pay for a few sterver rentals, but I got back into the game and its about time I got some back. Yup. Just make sure to make an original comment (not a reply) otherwise the comment picker won’t have a chance to pick you up. Thanks for the giveaway! I found you through a DClick ad on my latest post. 👍🏻 Yeah. Only problem with holding a lot of money worth of steem monster cards is the liquidity is still a little low. It is the nature of non fungible tokens. But every little bit we can do to drive liquidity will drastically help the market. Open sea seems to be a good place for collectables, maybe a steemit fork of it could be in play in the near future? You just got a 7.43% upvote from SteemPlus!